* Learn how to activate LS-DYNA implicit mode. 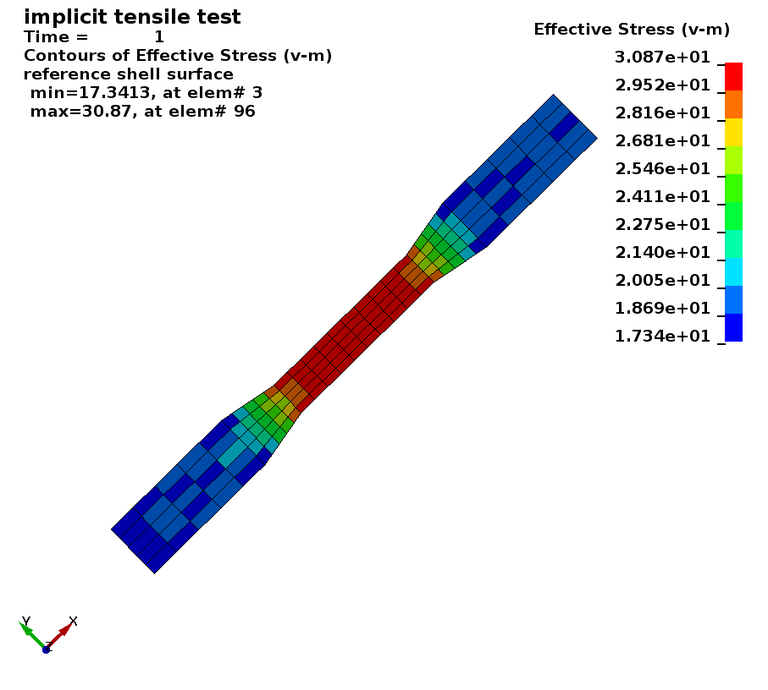 * Learn how to select linear or nonlinear analysis. A static tensile test is simulated using shell elements. develop in the narrowed center section. 1. Which shell element formulation is used? 2. How many steps are used to apply the load? 5. Is the simulation linear or nonlinear ? 6. What types of nonlinearity exist in this problem? 8. What is the reaction force at the fixed end of the beam? 9. Why does the reaction force not equal the applied load? type 21, and repeat the simulation. 10. Does the reaction force now match the applied load?